Increasingly, GP’s are contacted for simple health complaints. The number of contacts for minor ailments has increased to more than 12.1 million in 2015. In the past twelve years the number has even doubled. This is apparant from research by Ecorys on the basis of NIVEL figures. 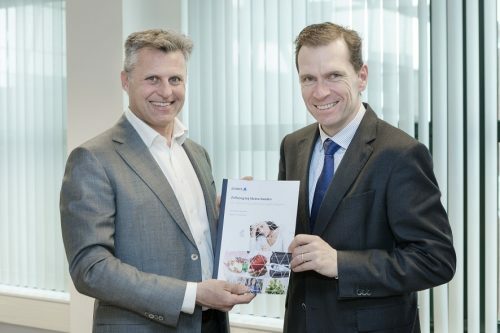 The report Self-care for minor ailments was presented on Thursday 23 March to Director General Curative Care Bas van den Dungen (Ministry of Health). Van den Dungen brings the report to the attention of the parties involved in Dutch care agreements. He hopes to see a major change in the coming years and that people are confident enough to tackle simple health care problems themselves. By 2015, the total number of GP contacts was 70.8 million. In 17.1 percent it concerns minor ailments where self-care is possible and the intervention of a GP is not necessary. The transition from primary care to self-care does not take place, while the GP is increasingly taking tasks from the second line. This puts the planned billions of savings at risk. The Ecorys report shows the saving potential of self-care: 111 million euros for the GPs, plus the expenses for prescribed medication. But even more important: more time is gained in GP practices which can be used to take over hospital care. There are also benefits for the consumer / patient: self-medication is often cheaper than prescription drugs prescribed for minor ailments. Neprofarm has made ten recommendations which accompanied the report, which will utilize the potential of self-care. One of the recommendations is to make medicines that are prescribed for minor ailments, available without a prescription.